Dyersburg, TN – If you want your 2009-2010 F-150 to stand out from the crowd, you should take a serious look at the new 4” and 6” lift kits offered by Rough Country. The new kits are built from high quality components yet hit the market at an unbelievable value price. These complete kits include front and rear crossmembers, front knuckles, differential drop brackets, front strut spacers, sway bar brackets, front skid plate, front brake line bracket and driveshaft spacer. The rear lift is completed with Rough Country’s innovative anti-wrap blocks, u-bolts and premium 2.2 shock absorbers. 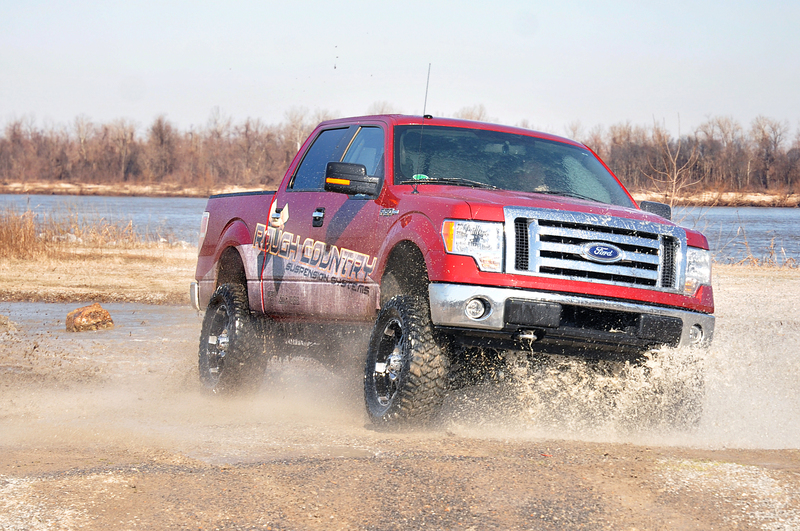 For more information about the new 2009-2010 4” and 6” Ford F-150 lift kits, please contact Rough Country Suspension® Products at http://www.roughcountry.com or call 800-222-7023 today! You may also contact Rough Country® to find an authorized dealer near you, or visit the “Dealer Locator” link at http://www.roughcountry.com.